Running Reality is a big, complex world history model. There is both a web version for mobile devices and web browsers and a downloadable app version for laptop and desktop computers. They are both freely available. 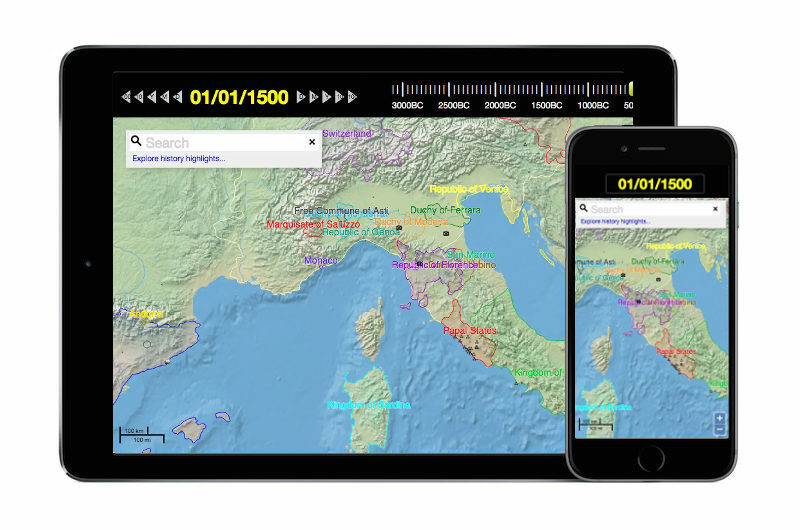 The app version gives Running Reality its name -- the ability to not just browse history as it happened, but also to "run" it, add more detail, see alternate timelines, and simulate the future. However, these are pretty advanced features that take a lot of computing power or require reading some of our tutorials. (I.e if you would like to do a personal timeline of your family history and want to load in a genealogy file.) 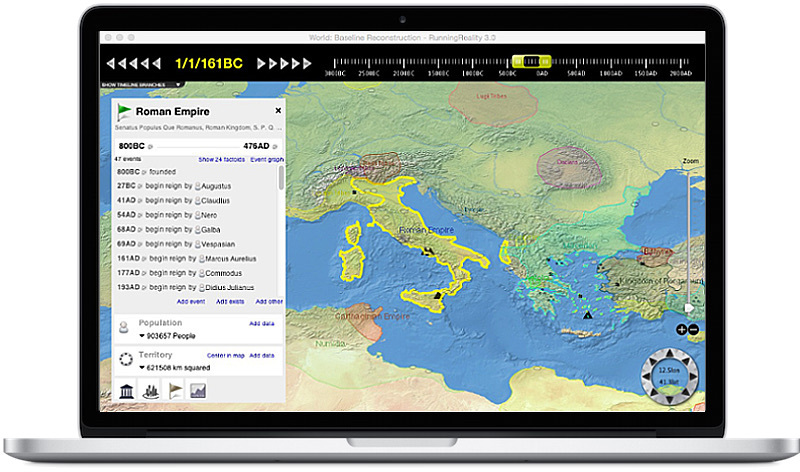 Most people don't need all these app features, so the web version is focused just on exploring history. Our plan is to continue adding the newest and most powerful features to the app version. If you find you like the web version, consider downloading the app version. They are both free and if you are a history buff you'll appreciate the additional power and features. Rather than waiting for data to stream down from the web every time you scroll around, it is a one-time download of everything and then you can zip around in time and space much, much faster. Extra time at first, then faster from then on. Send the Running Reality team feedback about the web version. In particular, we want to hear about how fast it is for you, how easy it is to figure out the features, and how it compares to the downloadable app version.